We love to reward our pawsome customers. 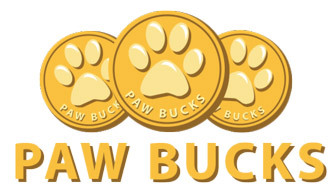 We are so excited to offer our loyal customers the opportunity to earn “Paw Bucks”. Paw Bucks is our loyalty programme and our way of rewarding our loyal customers for shopping at Pawfect. How do you redeems your Paw Bucks? Its really easy, check your Paw Bucks balance when you are checking out. You can either redeem part or all of your points at any stage. Each time you shop you earn Paw Bucks. Each product will tell you how many Paw Bucks are up for grabs. These can then either be redeemed in full or in part during your next purchases at Pawfect. Unfortunately Paw Bucks cannot be exchanged for real bucks (South African Rand) but you can redeem your Paw Buck at any time. Since we love spoiling pets all over South Africa make sure you watch out for our double points promotions and any special offers we might be promoting. 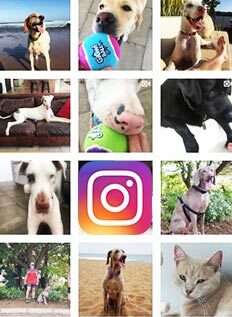 Keep informed by subscribing to our weekly Pawfect Mailer, as well as following us on Facebook and Instagram.